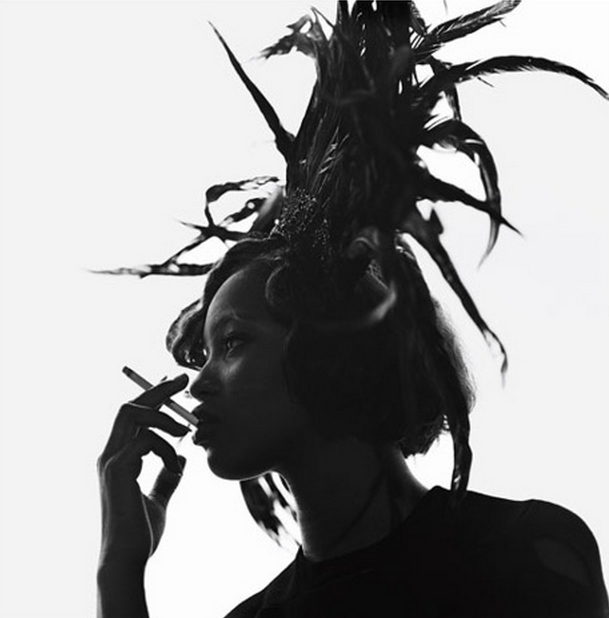 The Women series is a collection of artistic photographs featuring celebrity figures.Naomi Campbell B&W by Michel Comte features the supermodel smoking a cigarette Naomi Campbell is captured as the epitome of modern femme in this image. Intimate and direct, the viewer is confronted by the assertive demeanor presented through the central composition and neutral background. The passive woman of traditional fashion portraiture is replaced by an iconic image of the modern woman.